Kids participating in the Huron Shore Run in Southampton. 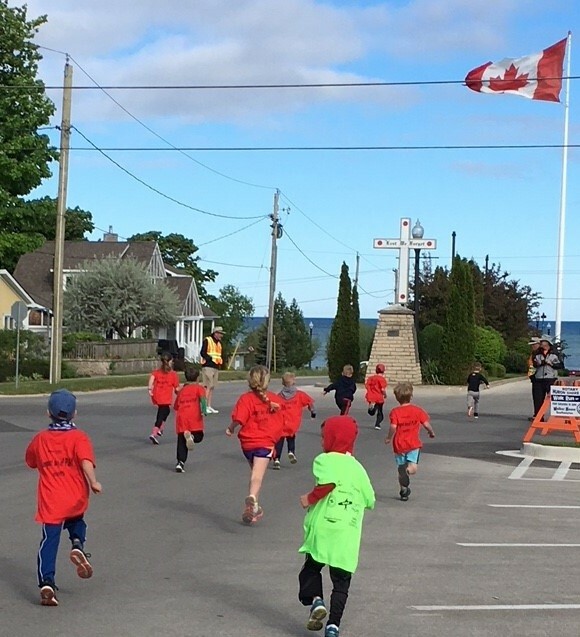 On June 2nd PLAY in Bruce Grey and the Town of Saugeen Shores held a free kids’ fun run as part of the Huron Shore Run in Southampton. The 2018 edition of the race was the largest yet, with over 90 youngsters racing down High Street to the flag and back. 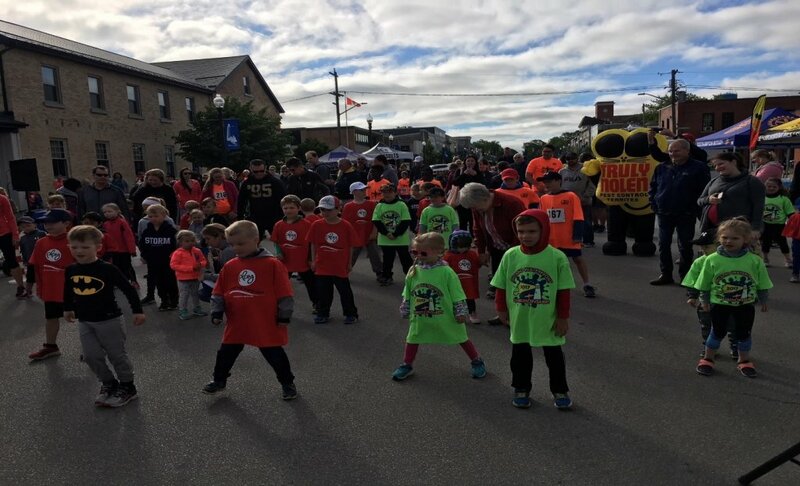 Pictured are the kids taking part in a group warm up prerace followed by the start of the run.